Lucar was an unpleasant being, intolerably so at times. It was hardly surprising that nobody like him, even though he had saved Robert Madigrals life and was his right hand man at The Gallery, the ancient and reputed Art centre of the West End whilst the owner and director, who was incidently Madigrals father in law, was abroad. Naturally, when Madigral was found murdered and Lucar was discovered to have left the country, everyone jumped to the conclusion that it was only a question of tracking down Lucar and the murderer was found. 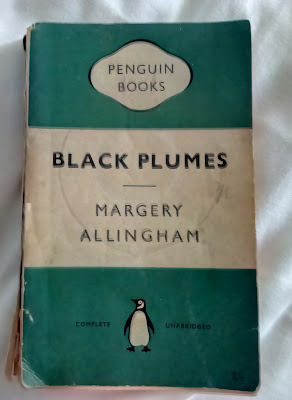 This is a standalone story from Allingham and as such was a disappointment, I missed Albert Campion and Lugg sorting things out. The disappointment is not the plot, just the style, and the characters,who in this locked roomed tale are all very unlikable, there is no humour just nastiness. This is a credit to Allingham who had great ability mix up her styles and still be very readable but I did not enjoy the book.